Running a PPTP server on your own router is very handy when you need a secure/trusted middle point from which to connect to all your external services while being on the move. Or maybe you just want to access some private resource that’s only available in your LAN. 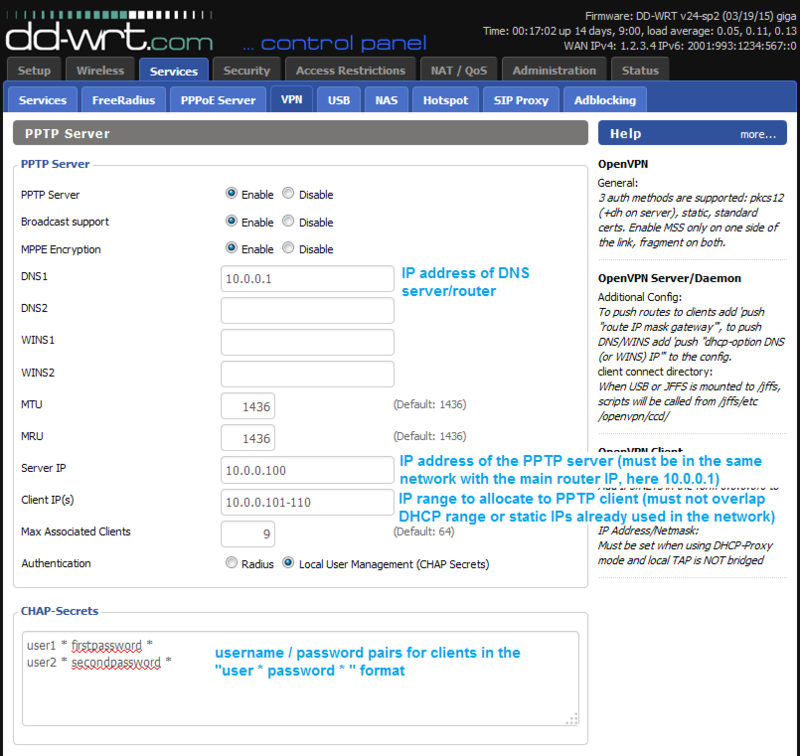 Either way, with DD-WRT it’s very easy to set up a PPTP server. Save, apply settings then set up your PPTP client and try to connect.